Used by the world’s top DJs, Mixed In Key 8.0+ integrates with Serato DJ Pro to enhance your music library with the best Key, Energy, Cue Point and ID3 tag data. 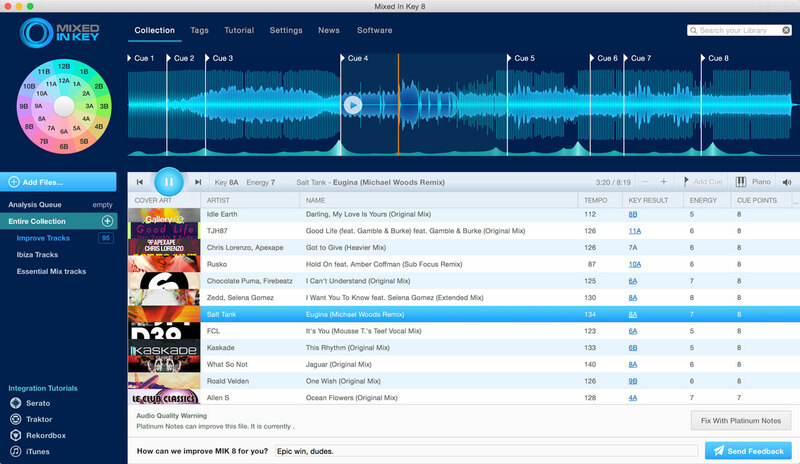 It analyses the Key of every track in your collection to perfect harmonic mixing, live mashups, and ensure flawless transitions between tracks. Mixed in Key also detects the Energy Level of your tracks, sorting them onto a scale of 1 to 10 so you can easily find the right track to mix live. As well as this, Mixed in Key sets up to 8 cue points like the Verses, Choruses and Bridges on each track or you can create your own Cues quickly by snapping them to the grid. That means when you’re mixing in Serato DJ Pro, you can jump backwards and forwards to different parts of your track using the Hot Cue buttons. 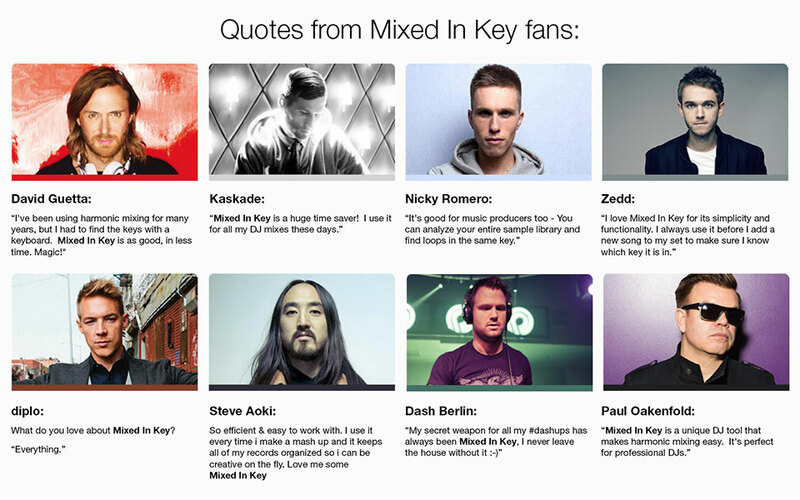 Visit the official Mixed In Key website and get your Windows/Mac versions of Mixed In Key for USD58.